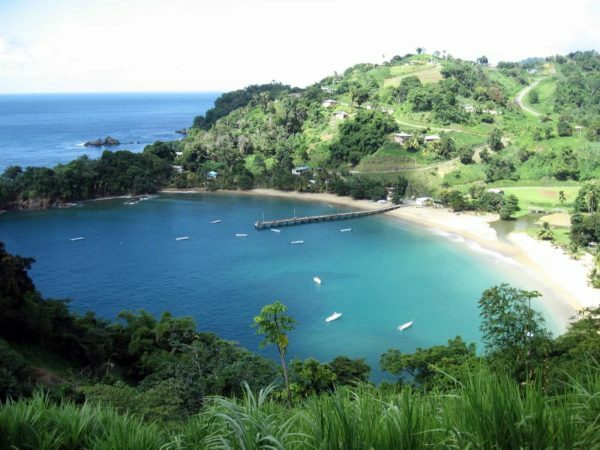 For your next trip to Tobago, be sure to visit the regular beautiful beaches and the popular destinations. But to get the most out of your holiday on this awesome paradise island, there are some must visit destinations that, though they may take you off the beaten path, are fantastic experiences you will never forget. Nestled in the lush green forest just outside of the villages of Les Coteaux and Mason Hall, you will find Highland Waterfall. 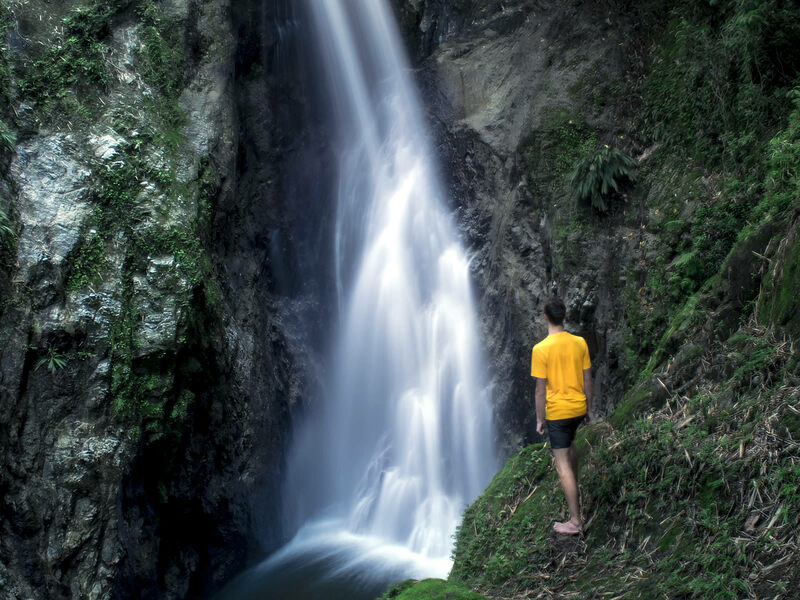 This rarely visited waterfall is the tallest single drop waterfall on the island of Tobago. But don't be mislead, its low popularity is related to its difficulty to locate. Highland Waterfall is an awesome, must visit waterfall located in beautiful scenic surroundings. The water descends into a deep plunge pool at the bottom set in a narrow gorge that is ideal for a relaxing and rejuvenating swim. The adventurous person can get a thrill jumping into the plunge pool from the wall of the gorge. This beach which is a great spot for swimming, snorkelling, kayaking, surfing and sun bathing is located in the Black Rock area just below Fort Bennett. This beach is located in the Black Rock area and is right below Fort Bennett. 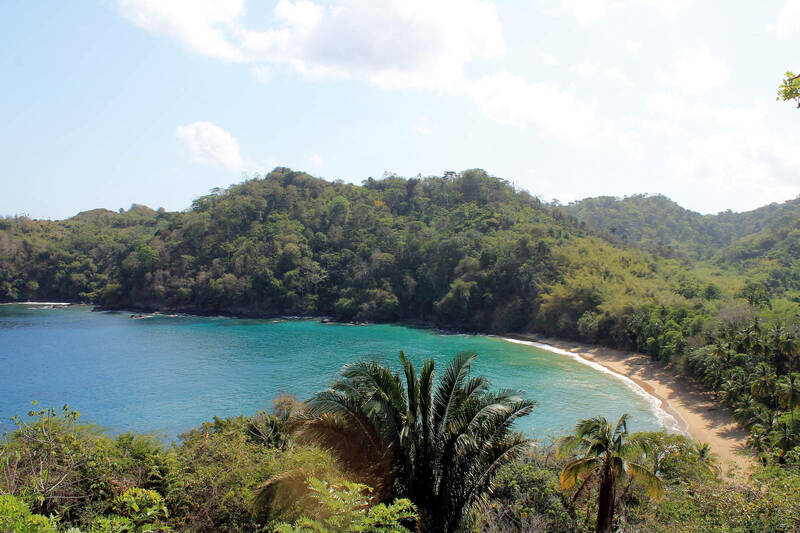 This beach is located between Stone Haven Bay and Great Courland Bay on the Western side of Tobago. Known for its large black rocks surrounding the beach, there are some slopes along the shoreline in various areas as the beach is said to be resting on one large rock! This beach is a great spot for swimming, snorkelling, kayaking, surfing and sun bathing. There is also leatherback turtles that can be seen nesting at this site. This classic crescent shaped beach, which is nestled between the thick tropical rainforest and the clear blue Caribbean Sea, is ideal for swimming, snorkelling and camping. On the leeward coast of Tobago, if you look carefully, you will find Englishman's Bay - a picturesque secluded beach which despite its lack of popularity among beach-goers is arguably Tobago's most beautiful beach destination. Counted among the top 10 beaches in the Caribbean by many travel magazines and websites, this beach is indeed a diamond in the rough. Located between Castara and Parletuvier about 1. 5 km past Castara, the beach is not visible from the Northside Road. Locating it requires a keen eye for a blue and white sign indicating a left turn. 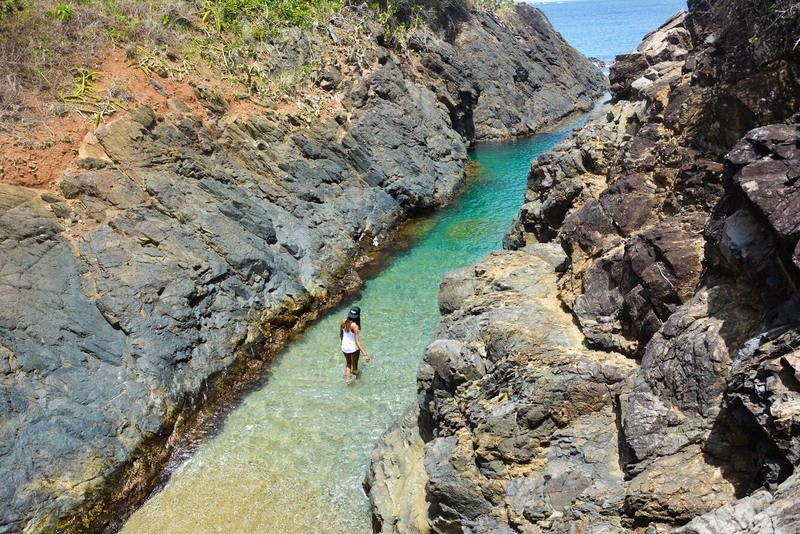 Follow the unpaved road to the end and there you will find the classic crescent shaped beach nestled between the thick tropical rainforest and the clear blue Caribbean Sea. The destination is ideal for swimming, snorkelling and camping. Chairs, umbrellas and snorkelling equipment can be rented. It is a nesting ground for the leatherback turtle and is a popular mooring spot for yachts. There is food on sale as well as local craft. At 175 feet (54 meters), Argyle, Tobago’s highest waterfall attracts locals and foreigners to its cascade of cool, crisp water that flows down from three dramatic levels. 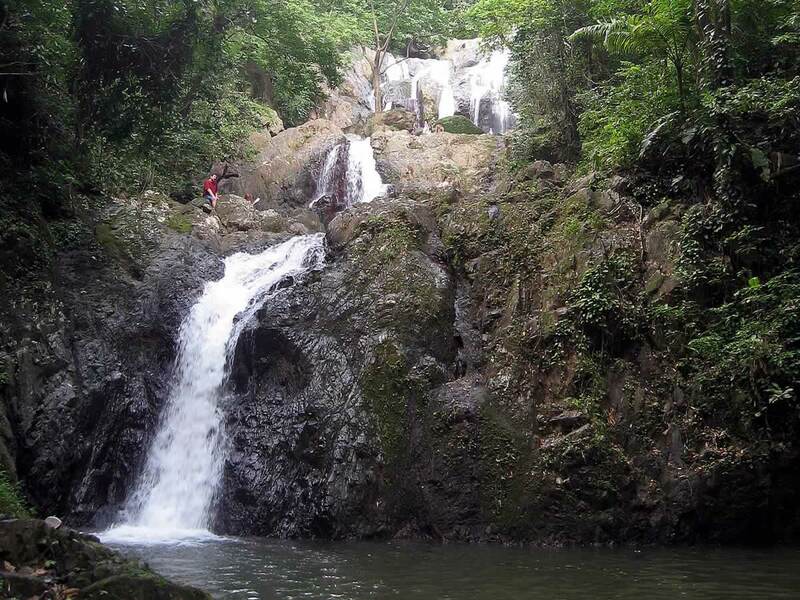 At 175 feet (54 metres), Argyle, Tobago’s highest waterfall attracts locals and foreigners to its cascade of cool, crisp water that flows down from three dramatic levels. Located on the northeast side of Tobago, the falls are just outside Roxborough, on the Scarborough road (only a few hundred metres from the road to Bloody Bay along the Caribbean coast). The Roxborough Visitor Service Co-op office serves as the entrance. Encircled by lush green foliage, the waterfall is accessed after a 15-20 minute trek along a clearly marked trail. 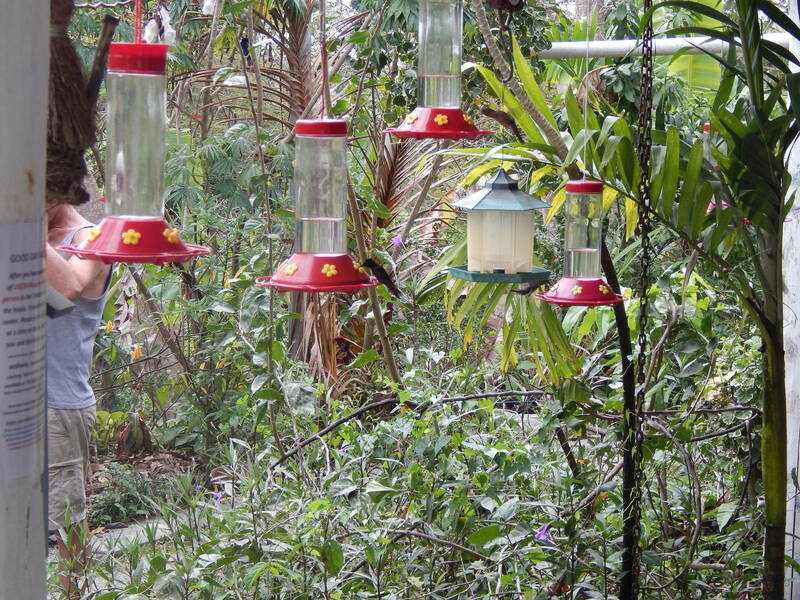 Along the way you are greeted by butterflies and a variety of birds. But before heading off you must pay an entrance fee of TT$60 at the office. If you wish you can hire a guide for an additional fee. With 3 levels, the thunderous sound of the waterfall is heard long before you see it. The height of the first cascade hides the real splendor of Argyle’s upper levels. If you are adventurous you can hike up a bushy path on the right hand side to the second level, where you are greeted by a thick mist. At this level, you can lie in several natural rock tubs and let the water rush over your body. Finally, going further the third pool, though the smallest is the deepest and the best for swimming, inviting you to dive, jump or swing into the water from available vines. 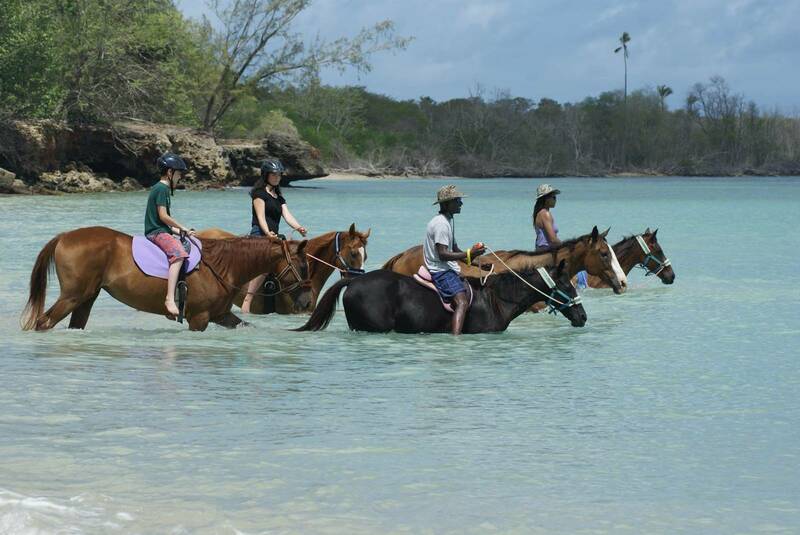 For the sun-lovers, swimmers, snorkelers and scuba divers - Batteaux Bay is the ideal place for you. This pocket shaped bay, with clear deep blue water is one of the best well-kept secrets on the island of Tobago - the jump off point for great dives and snorkeling adventures and to explore the beautiful islet of Little Tobago. 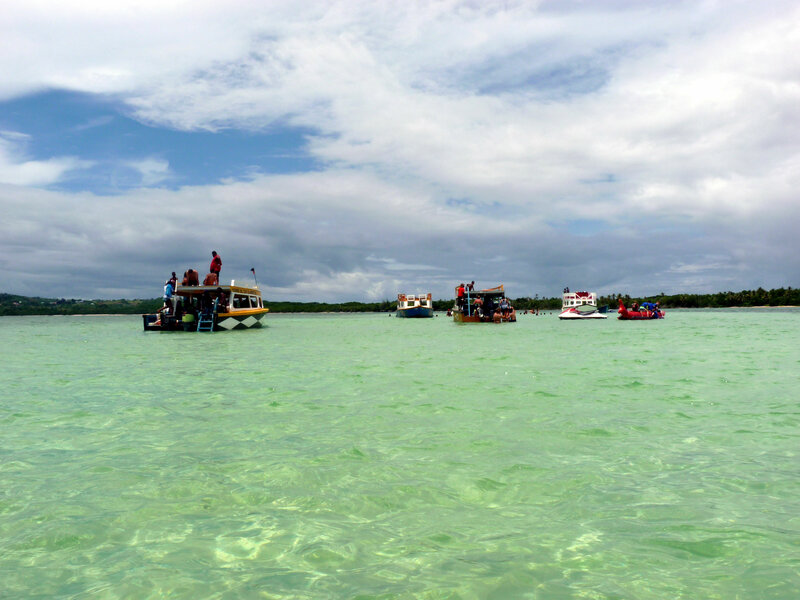 For the sun-lovers, swimmers, snorkelers and scuba divers - Batteaux Bay is the ideal place for you. This pocket shaped bay is one of the best well-kept secrets on the island of Tobago, protected by rocky headlands with flourishing trees atop. Though located on the windy side of the island, the bay has been spared the gusty winds and raging waves of the North Atlantic Ocean by Goat Island and Little Tobago located a few miles off shore. Accessed through the privately owned Blue Waters Inn which is located on the bay, the olive green water nestles at the front of the hotel providing the ideal intimate getaway for couples and dive sites filled with shimmering reefs and corals for divers and snorkelers. The blue-green waters of this picturesque destination are inviting for swimming, snorkeling and scuba diving. 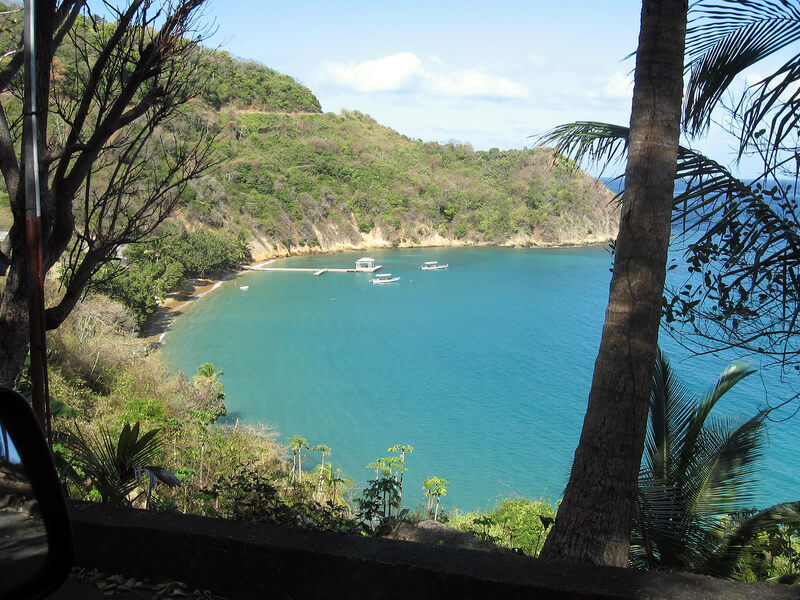 Parlatuvier Bay, located at the North Western end of Tobago, is another gem on the island. Its value, perhaps, is in the beach's golden sand but the overall landscape is what really makes the beach a beauty to behold. About 50 minutes drive from Scarborough, Parlatuvier Bay is a tranquil beach about 500 metres long. It is partly sheltered, so the water is quite calm with small lapping waves. However, the waves can be strong at times. Entering Parlatuvier Bay, the river meets the sea and visitors usually express pleasure bathing at the river mouth. Fishing is also part of the village livelihood so small fishing boats line the shore. The beach also has a jetty about 200 meters long. The beach is surrounded by the village with rugged rocks closing it in from the sea. The natural enclosure makes the beach ideal for swimming and snorkeling, but caution must be taken since the beach is tucked away and there is no lifeguard here. The water gets deep quickly and there is excellent jumping and diving from the jetty.